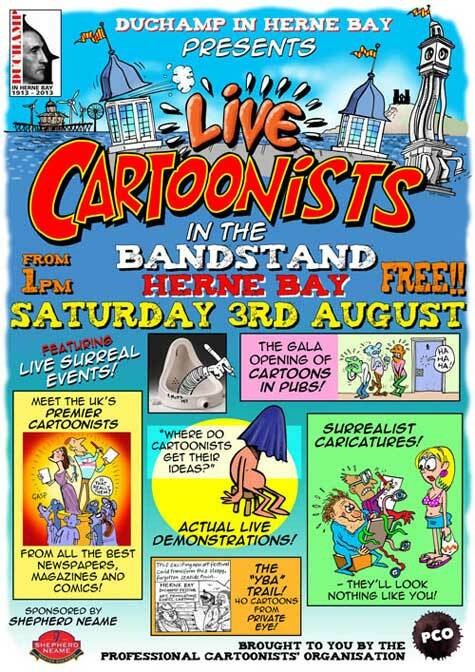 I'll be at the above event in Herne Bay, Kent, this weekend (poster © Hunt Emerson). It's part of the Duchamp in Herne Bay festival, which marks 100 years since the artist Marcel Duchamp visited the town. 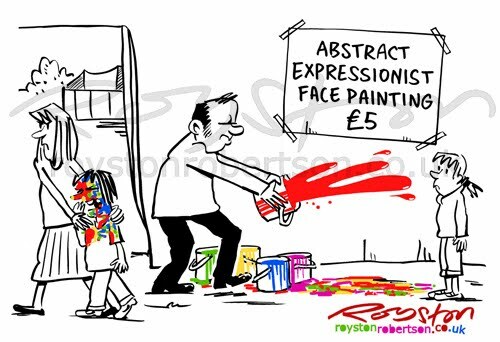 In the pranksterish spirit of the godfather of conceptual art (he's the urinal guy) many of the cartooning events have a certain playful air to them. That's another way of saying I'm really not sure what we'll be doing, but I'm sure it'll be fun! 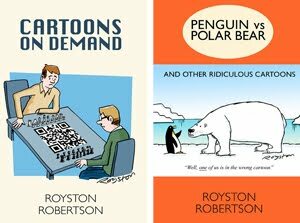 Cartoons on the theme of art will be on display, many in various Shepherd Neame pub toilets (we're back to the urinal again) throughout the town. Here's one that appears in the slightly more salubrious setting of the official event programme. There is a heck of lot of Duchamp in Herne Bay stuff going on over the next few weeks, not just the cartoon-based events, and it looks well worth a visit. You can read the programme online or visit the official website.